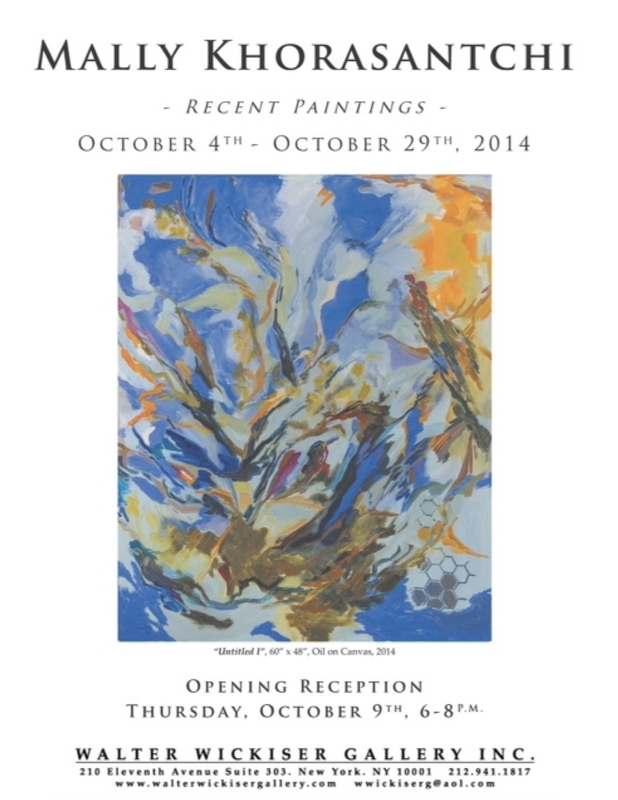 October 4 - October 29, 2014 and the opening reception is Thursday, October 9th, 6-8pm. If you're curious about the artist check out this interview with Mally. 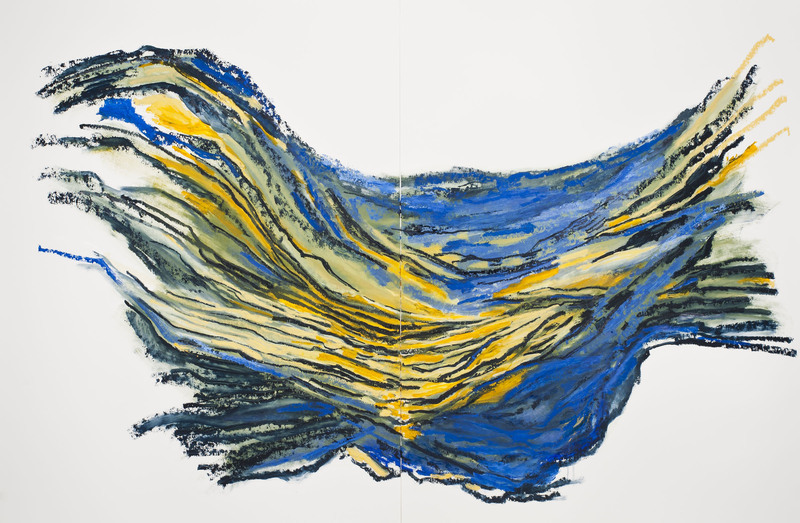 "Mally Khorasantchi’s large pulsating canvases conflate nature-based forms with abstract thoughts. Leafy tendrils poke through honeycomb-like nettings, dissolve into chalky mists, and are swept into currents of intense and variegated color. To be sure, Khorasantchi’s bold, keyed-up depictions bring to mind the mystical landscapes of Charles Burchfield, who similarly worked from familiar surroundings and imbued his imagery with deep personal symbolism, probing the mysteries of nature in an attempt to reveal his inner thoughts and moods. While the calligraphic strokes and transcendental light infusing such works as Plantation relate to the early-20th-century master’s aesthetic, Khorasantchi’s compositions, though unsettled in spots, bare no ominous cast. 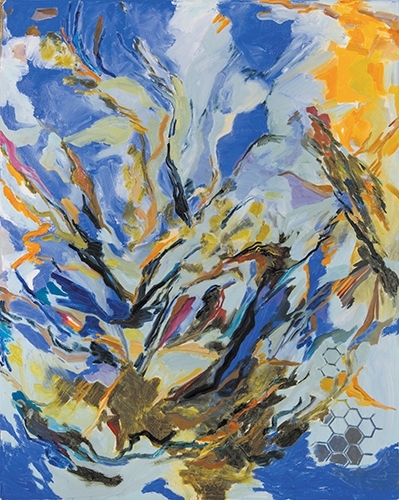 The turbulence, the swarm of jagged lines and fiery hues in the “Death of the Bumblebee” and “Genesis” canvases, does not tell of internal brooding and fears, but are rather homages to nature’s order. They are a celebration of the birds, bees, fish and flowers inhabiting an everchanging and enchanting landscape." Barbie, Boglins, Masters of the Universe, Polly Pocket... Unless you were raised by wolves, Mattel had a bit impact on your childhood. As a toy manufacturer and distributor, the company has been sparking the imaginations of kids for 70 years. Tokyo-born and Brooklyn-based artist Aya Kakeda will be holding a solo exhibition of her ceramic works at AG Gallery in Brooklyn. Aya will be visiting for the opening night on October 8, from 6PM-8PM.